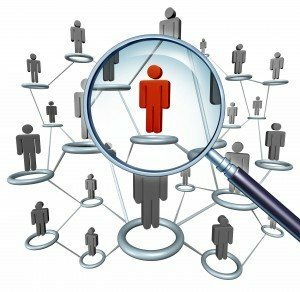 The last time I investigated, there were estimated to be around 380+ million members on the worldwide professional networking site known as LinkedIn – a number that’s steadily increasing. Yet even though so many have jumped on board the LinkedIn express, it’s debateable how many are fully leveraging what’s on offer via this professional social media site to stand out in their job search. A professionally written profile should brag about your expertise, strengths and abilities via a personalised (perhaps somewhat modest) tone. In addition, putting the investment and effort into your LinkedIn profile to achieve an ‘all star’ rating will indicate to that hefty global audience that that’s how you tick on a professional level – you’re willing to put in the extra work to get results. Whether you’re an individual or a business, a professionally written profile – along with regular interactions – will expand your brand presence and reach. Just reiterating there’s currently around 380+ million members signed up to LinkedIn, equating to an immense amount of professional opportunities for introducing and promoting your brand – beyond what you could ever imagine. profile up-to-date will ensure you’re always findable and contactable when opportunities arise. In addition, regular interactions will keep you top-of-mind across your LinkedIn networks. More and more recruiters are using LinkedIn to advertise jobs and seek candidates. If you’re in the market for a new job, or you’re someone who likes to keep their professional ‘door’ slightly ajar, an adequately written LinkedIn profile will help you to be found and engaged with. LinkedIn has also just updated its job posting system, so you can suss out any relevant connections before applying. Many of today’s jobs involve personal networks. These are some of the key reasons why it’s highly important to ensure your LinkedIn profile is professionally written to optimise your brand’s prospects. Why not put in the effort to move up to first class on the LinkedIn express, while it’s still under-utilised by many.